Is it a motorbike? Is it a bicycle? 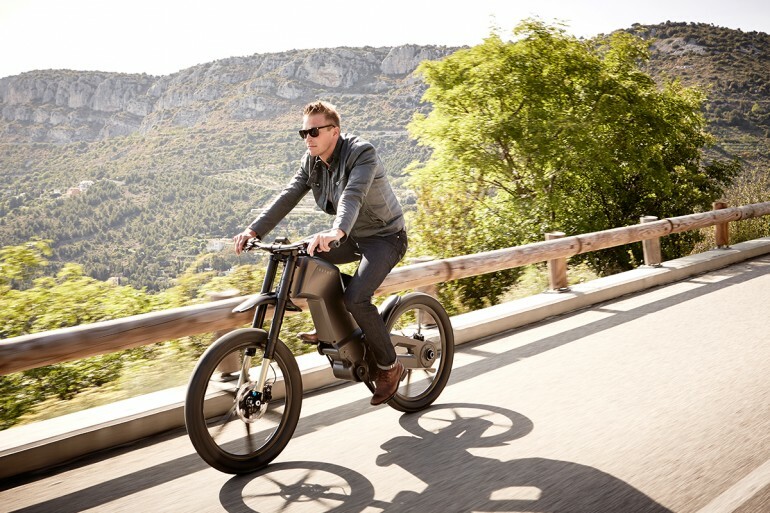 No, the Trefecta DRT is a vehicle that espouses the high quality of industrial design and robustness of a military-grade contrivance – with the result being a practical combination of both a motorbike and pedal-driven bike. 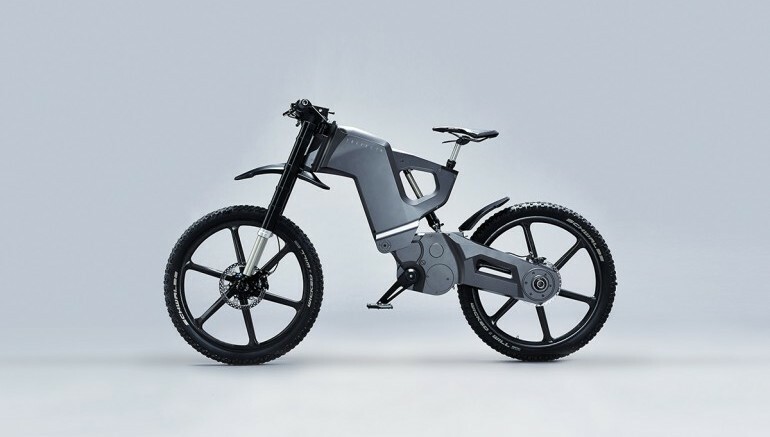 In essence, it is an electric bike defined by its lithe aluminum frame that is derived from aluminum blocks (7075 aluminum variety) instead of regular tubes – thus accounting for hardy reinforcements and protection for all-terrain usage. This structural ambit is complemented by a plethora of other advanced features, including a fly-by-wire computer, a dedicated app-connection system, and of course the electrical setup that fuels the bike to a top speed of 43 mph (70 km/hr). 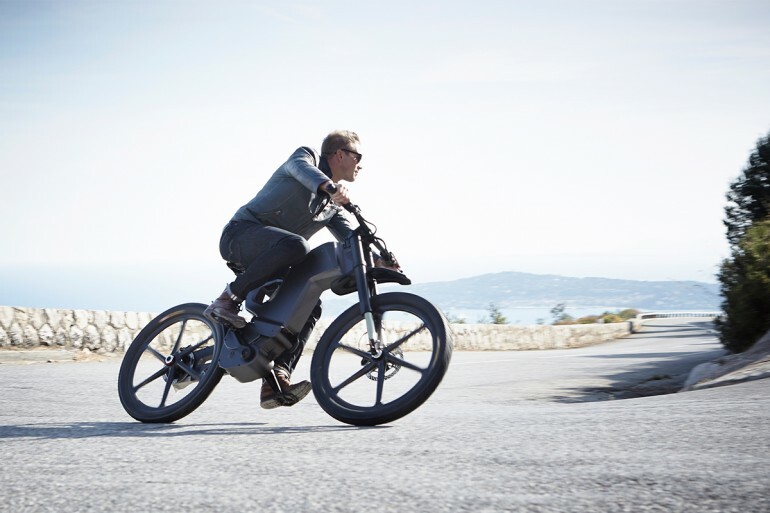 So, in regards to the power-train, the Trefecta DRT comprises of a 4kW electric motor (with 184 lb-ft or 250 Nm of torque), a 14-speed Rohlof Speedhub (internal hub gear) and a SmeshGear transmission. This setup is certainly good enough for cruising speeds of 34 mph (around 50 km/hr), while also being capable of achieving the aforementioned top speed. 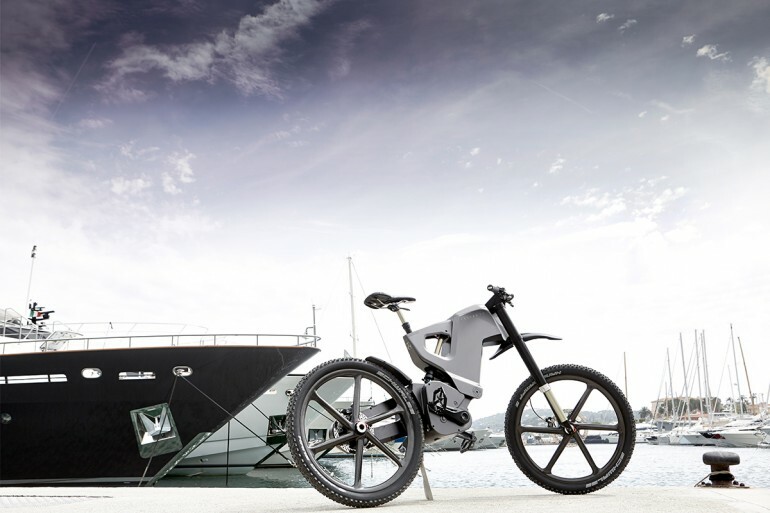 The complimentary 60-volt lithium-ion battery boasts of a substantial range of 62 miles (around 100 km), while the entire bike can carry up to 353 lbs of load. Of course, users can switch to the accompanying pedal-powered attribute, thus transforming the vehicle into a stylish yet boisterous bicycle. And, as if all of these advantages were not enough – the bike can also be folded up to be easily hauled to different places. As for the other progressive features, we did mention something about a fly-by-wire computer, and this CAN-bus unit (designed by the Trefecta creators) is installed along the handlebar. 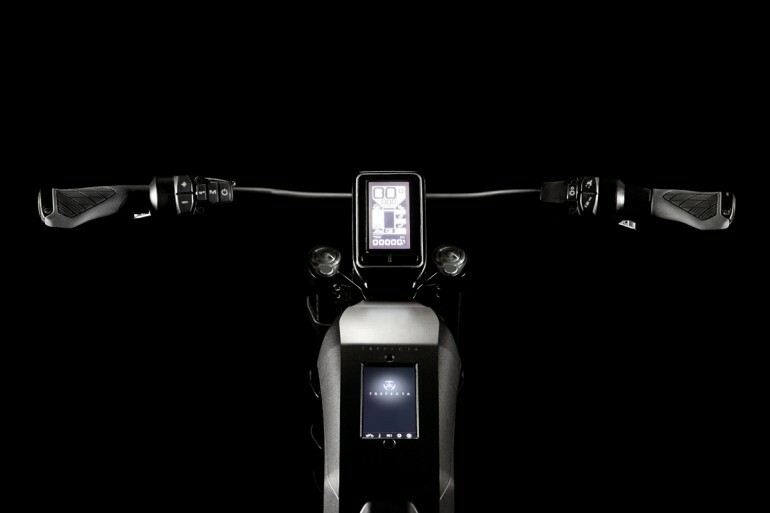 It primarily allows the user to change the bike mode from automatic gear shifting to electronic gear selection, while additionally accounting for a myriad functions, including – regulating the rear-shock, showing bike velocity, and acting as the data-hub for crucial info like battery life and destination distance. Furthermore, the control unit also boasts of connectivity features encompassing both WiFi and Bluetooth, which allows direct interaction with a dedicated Trefecta app (along with other apps) for iOS. Now, at the end of the day, we must revert to the saying – awesomeness never comes cheap. To that end, the base price of the Trefecta DRT pertains to a figure of €22,500 (around $25,000). 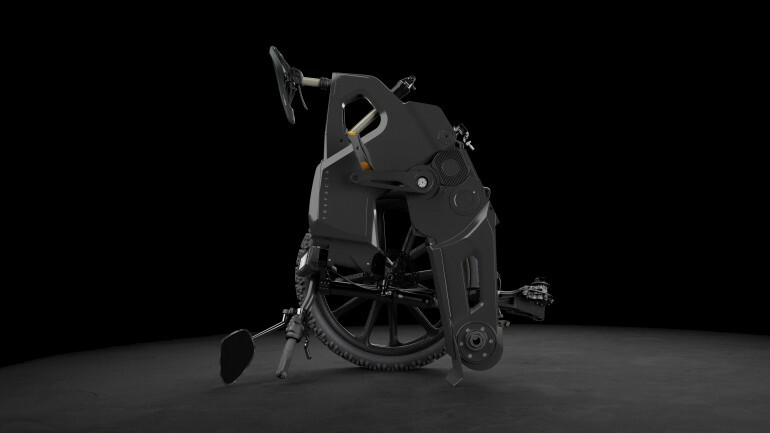 And for those who are enticed enough by the military-grade bike, there is also a $36,485 version that comes with CNC-machined components and customizable options. For more info, you can surely check out the company’s website. 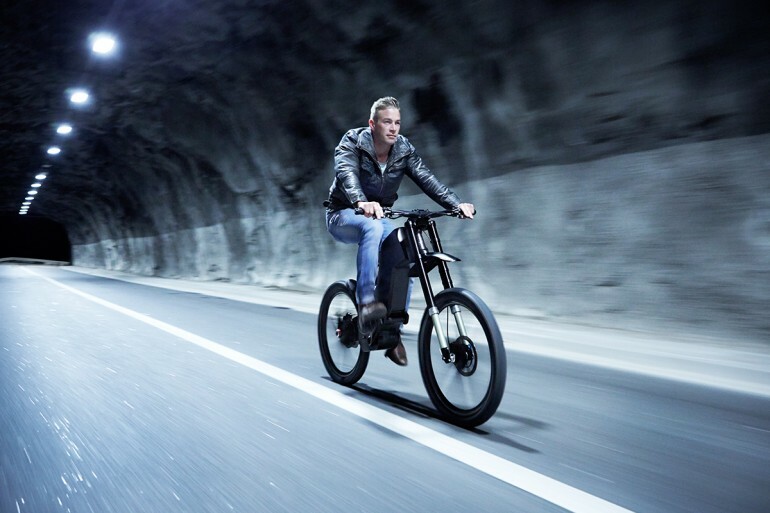 1 Comment on "Trefecta DRT: A military-grade electric bike epitomizing style and substance"
Sorry but kilometres is a nightmare for electric transport. Notice how TESLA cars are designed and built in a miles country and have real credible range while all the other electric cars are designed in KM countries and have lousy range. It is not the only reason of course those vehicles tend to be compliance but still even among EV conversion enthusiasts compare American versus Canadian home converters. American guys who convert their gas cars to a pure electric try their best to get around 120 miles range from their home made EV. In Canada it is 120 KM !! You see how the psychology of a kilometres culture undermines ambition and achievement ? 100KM is 60miles more or less. I am so happy TESLA cars have the ambition pressure of the miles culture. That bike needs 1/3 more power and range. Article is not so clear about how much regen manual peddling produces.